Now you can experience the relaxing and soothing benefits of the legendary therapeutic effects of the world-famous Mineral Baths from the Dead Sea. People travel from all over the world to bathe in the Dead Sea because it has a complex blend of salts at a concentration found nowhere else on earth. 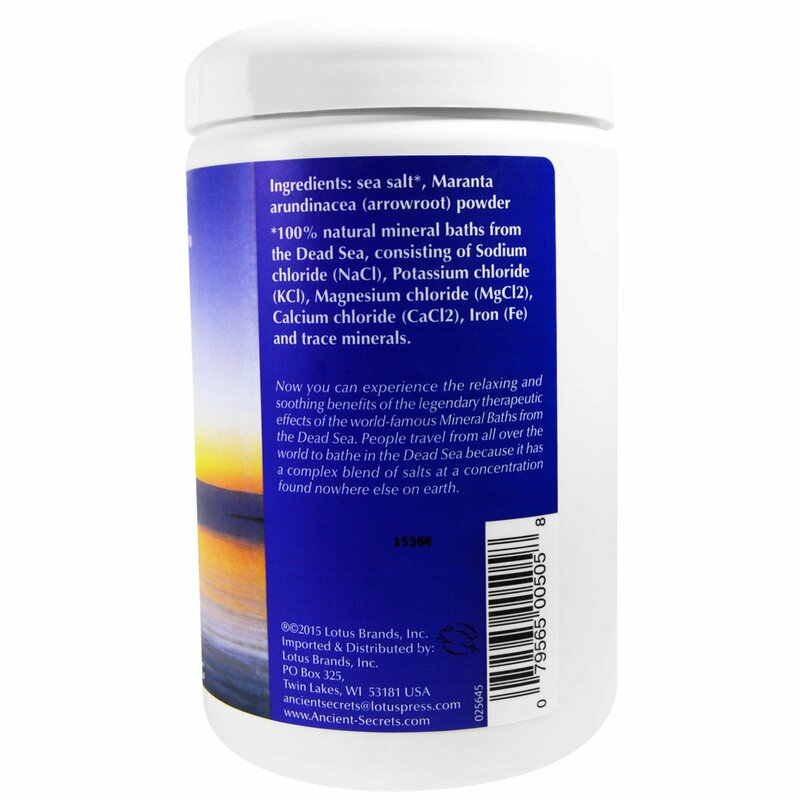 For relaxation and general use: Dissolve up to 2 cups of bath salts into warm bath water. Allow salts to dissolve 2-3 minutes. Soak for 20 minutes or longer. Rinse off bath salts with warm, fresh water. For specialized, localized applications (feet, hands, elbows, knees, etc. ): Place 1 cup of bath salts and warm water into a non-metal container or soak tub. Allow salts to dissolve 2-3 minutes. Soak affected part for 20-30 minutes. Rinse off with warm, fresh water. Ancient Secrets Baths Salts can be used in whirlpool, hot tub or sitz bath preparations. Non-foaming. This product is also found in convenient, potable 4 oz. packets, as well as 1 lb. boxes. 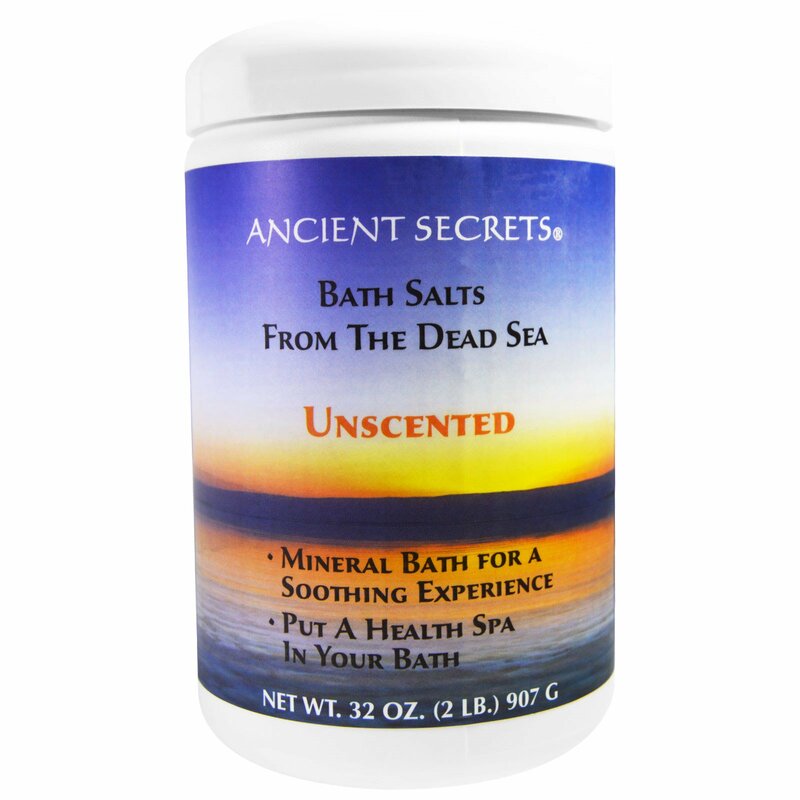 Ancient Secrets Unscented Dead Sea Mineral Bath Salts can also be combined with your favorite essential oils for an added sense of luxury and enhanced relaxation. Essential oils can be quite potent, so please use them sparingly. If you are under medical supervision or treatment, consult with and follow directions provided by your health care practitioner before use.